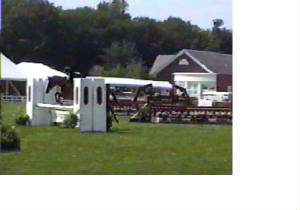 Click Here for Jazz's USEF show record. Leo is a full brother to Freckles. 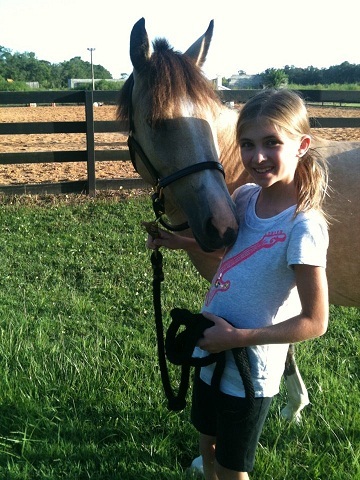 He is now doing pony club with his 9 year old rider. in South Florida. He is now doing dressage. 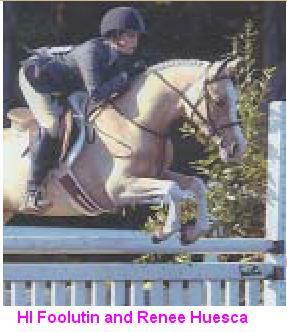 Baileys Irish Dream- 13.1 Bay Gelding. Local show winner sold to Tallahassee. 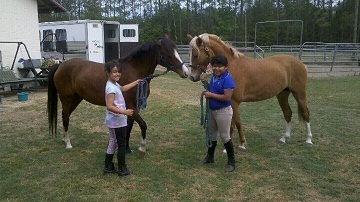 Other horse and ponies we've sold. 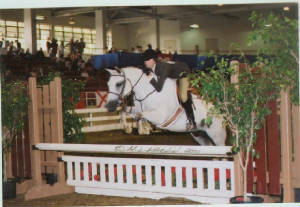 Beauty- Grey Welsh/QH mare. 14.1 hands. Sold to the Clements Family in Alabama. 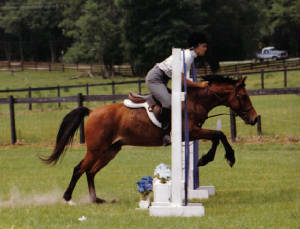 CoCo - 13.1 Bay Gelding. Sold to Ormand Beach, Fl. 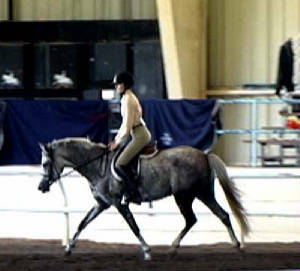 Now competing in Dressage and Hunters. Melodys First Note- 12.2 Bay Mare. 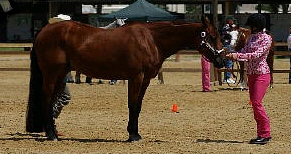 Local show winner sold to South Florida. 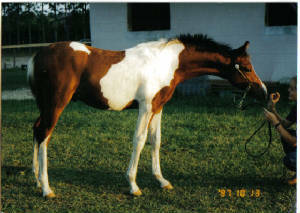 Leavem Laughing (TJ) - Welsh/WB 13.1 hand mare. 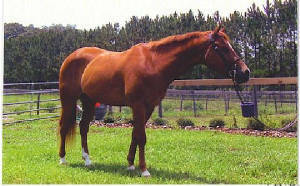 She is now in the Jacksonville area being shown at H/J shows.